Usually garlic is used in food but besides this, it has many benefits which helps us in staying healthy, something very few know. So here we are going to elaborate on the benefits of garlic which apart from keeping diseases at bay but also helps in keeping your hair and skin beautiful. Use of garlic helps in making one’s hair beautiful and also helps in reducing hair fall because it contains some substance that is helpful in doing so. Massaging garlic over scalp or doing so after mixing it with oil helps to achieve said result.. The use of garlic is beneficial for removing pimples and other skin diseases because of the anti oxidant present in it helps in cleaning bacteria. Using this on skin helps in reducing pimples. In winters complains of cold is common. Eating garlic in food helps in improving the immune system and drinking garlic tea can be useful in protecting against cold. 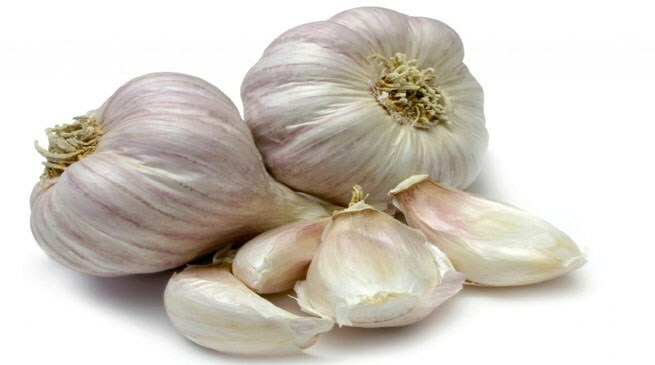 According to medical specialist garlic is also useful in losing weight if it is taken in increased quantities in diet. Scientists says that use of garlic has been proven to keep mosquitoes away. If garlic is applied over hands and feet, it helps in keeping mosquitoes away.